Conversion in the sales field has become a major part of all the companies that sell products/services to keep their business intact. If you are selling something online it means that you already have a funnel, but the task is to keep the funnel optimized and convert the leads to customers. This sounds very simple even though it is not. 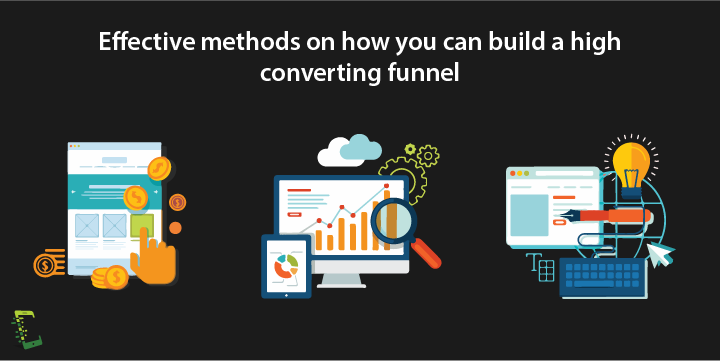 Doesn’t matter if you are an e-commerce marketer, a SaaS consultant or sales manager, you will always be looking for effective ways to achieve a great converting funnel. A lot of us fail to understand that getting a new customer is not only about selling a service or a product but the main effort is also how the website visitor is convinced to buy your product. Let us understand some important things. Visitor to lead: In this type of conversion, you’re making a website visitor into a potential lead. A visitor lands on some page of your website and subscribes to your newsletter or spends a long time to a blog article but have not purchased the product yet. Lead to customer: The more important conversion is when a lead buys something from you. They might be following you on social media, they read your blog, subscribe to newsletters, etc and finally make the payment to purchase the service you are selling. 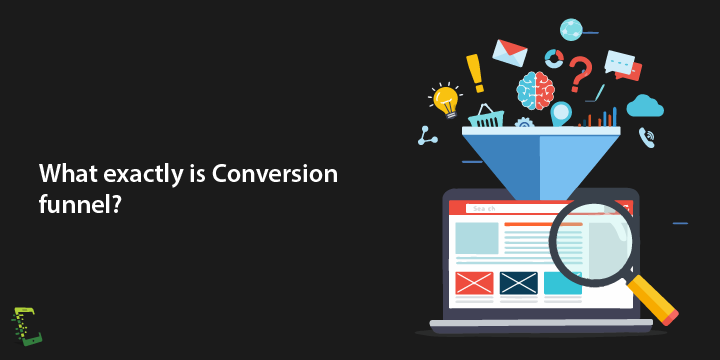 Basically, A Conversion funnel is a process which includes the time taken by a website visitor i.e a potential customer to buy the product. All of us will be curious enough to know why the term funnel. It represents the size of leads achieved to the size of customers achieved. As the size of the funnel decreases towards the bottom which is basically the end process of the conversion. Without following or taking note of any of these steps it is impossible for a website visitor to end up being a customer. Let us understand these 4 steps in detail. This is the stage where the visitor lands on your website with an expectation of getting the service they are looking for. The main purpose of this stage is to make the visitor understand the product and the basic features included. Not every first-time visitors on your website makes an instant purchase of the products or the services you offer. There are many things like high price, not a user-friendly interface and complicated payment method which may stop them from making the purchase. Or apparently, they didn’t come with an intention of making any purchase at all. In this stage, the visitor gains some confidence in your service and takes a decision to dig in deep with the pricing, additional features, they might even go to your about us page to know more about you, it is highly recommended to have a well-described detail about your services in order to avoid suspicion. You will have to even present how your product is better than your competitors, This is the time to pitch in for conversion of the potential customer to subscribe. You should also understand that not all visitor is a buyer, some visit your website to pass time while some are really interested in what you are selling, it is up to you to identify who they are. Hence, If a visitor leaves the website after the awareness stage, there is nothing to worry. This stage is when you understand that the visitor actually wants to buy a product from you and is convinced enough to proceed. You will have to be extra careful when you are answering any query in this stage as one wrong response might make the visitor leave the website in search of something better. Be an active listener, understand what they are actually looking for, do not rush to answer in a hurry rather choose to provide the best and most effective answer. This will convince the customer to the next level which is when they are keen to proceed with checkout. Not every visitor will reach this stage. This is the stage where a visitor turns into a customer, where they are convinced enough to enter their email ID or their phone number. Not everyone will take this step as there will be people who are hesitant to enter the details due to security reasons. The number of people who start from the first stage and enter this one is very less in case proper engagement is not done. Let us take an example of 100 visitors on your page currently. This is how the conversion funnel takes place. Now out of these 50, around 20–25 people leave the website not finding the products useful for their work. Out of the 20 visitors, 10 people add the product to their cart in Desire stage. 5 out of the 10 visitors proceed to checkout with payment. This means that out of the 100 visitors who landed on your website, only 5 have become customers which means 95 people have left the site in any of the 3 stages. This means that your conversion rate is 5%. Optimization is increasing the percentage in conversion and conversion optimization is the best means to achieve the number, A small increase by 2–3% will still add up 2–3 customers per 100 visitors on your website which is a good progress. A lead magnet is a free and an attracting bribe to any visitor who has spent a lot of time on your website. If you are selling a service, always offer a free trial which will be the best deal for the visitor in exchange for his email address. Always make sure that you are not stern to just sell your product on the landing page, you can have a small pop up which shows that you are offering a free trial for the client, once they subscribe or sign up, you can promote other addon services as well. Lead magnets are the first phase in the conversion funnel. The main motive of the lead magnet is to obtain the client details by providing a free service for some days and you can contact the customer later as you have the email address. Visitors who agree to provide their email address are likely to be your customers, if they don’t intend to provide the email they are surely going to leave the site in between. This is the stage where you provide introductory offers for your product. This is termed as Tripwire in sales. Keep in mind that you are not selling your main product but selling an introductory offer for a very less price for the client to get hands-on over your services to know if it will help them. Always make sure that the product you are promoting is priced very less, it can be anything between $1-$2 depending on the price of your core product. Tripwire can be a separate product, a part of your core product or an old product which is actually of no value now. The main agenda is to price the product so low that the visitor has no other choice than making a purchase. This is how conversion will work well for you. This is the stage of the conversion where you pitch in for promoting your actual product or your core product. Do not directly ask the customer to upgrade or buy the product, if the trip wire you have provided is the basic package of your actual product, engage the customer in a conversation and take feedback, ask for their experience on the product and then proceed with your offer for the main product by providing the additional features. Since you have already spoken to the customer before, you will not find it hard to convince them to purchase the main product. Take into note that the price of the core product will always be 10 times more than tripwire on an average. If you have around 20 visitors who have purchased the tripwire, there are chances that at least 6–8 customers will upgrade to your core product. The idea of conversion is to sell your core product and not the tripwire. If you think that selling your main product is all you need, You will have to think again. The profit booster is yet to come. As the name suggests, the profit booster is a product that maximizes the profit. These are products that are sold in the form of up-sells, cross-sells, or/and as exclusive products. The profit booster increases the transaction value per customer and that’s where you make the real profit. Again, not everyone will be interested in buying the profit booster but there is nothing to worry about it as due to the high pricing, few sales will make the profit for you. The fact is the probability of selling to existing customers is much higher (75%) as compared to selling to new people (25%). And it is also a fact that up-selling increases profit enormously. This is the actual reason why your funnel must have up-sells and cross-sells. An upsell is a process which makes the existing customers buy higher-end expensive products while cross-selling is a selling technique that is used to sell related products. The purpose, however, in both cases is to increase the profit and to increase average transaction value per customer. 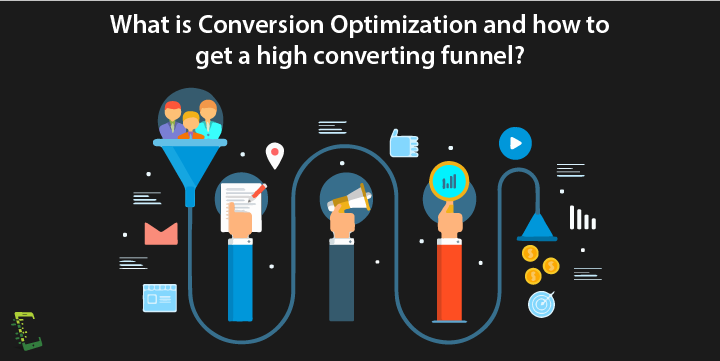 In this article, we have discussed certain steps which play a vital role to achieve great profits on selling your services, how to get a great customer out of a mere website visitor is in your hands and depends on how optimized is your conversion funnel. Ever been a part of a successful sales story? Share it with us in the comments below. Want to convert website traffic into Leads?